The Historical Center is located at 198 Center Street (Old Route One), at the forefront of the modern Nobleboro Central School. 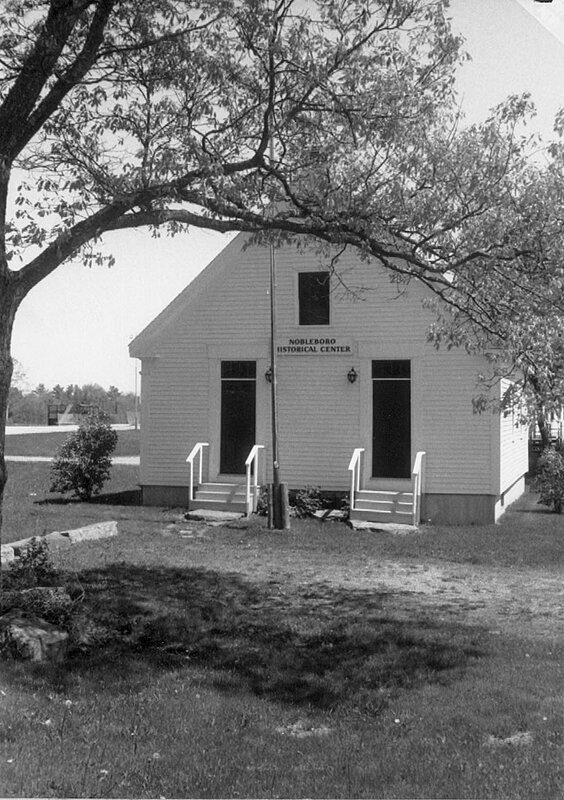 It is one of Nobleboro’s 12 original one-room schoolhouses. 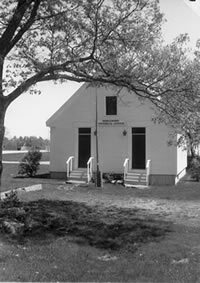 The restored 1818 building, formerly known as the Hawthorne School was moved to its present site in 1978 to house the Historical Society’s collections. The former woodshed and "two-holer" bathroom have become the Center’s office. In the basement a fire proof, humidity-controlled vault stores early town documents dating from 1788, invaluable resources for ancestor-finding. Detailed genealogies, maps of home locations (1857) and land ownerships (1813), locations of 84 burial grounds, vital records ~ all are available by appointment for study. In the schoolroom itself is a varied display of artifacts reflecting the life and times of Nobleboro families. Prized exhibits include a 1765 German Bible, wood carvings of oxen, Indian relics, a floral wreath made of human hair, a large U.S. flag of 13 stars, an organ made in Nobleboro, and a ship model. Early items from the farm, sawmill, shipyard, general store, school, church and railroad are among the many intriguing displays. The Center is open Saturdays in July and August from 1:30 to 4:30 p.m. and by appointment. Admission is free. Donations are welcome.